Design and functionality have led towards a new project objective Arrital AK. Different functional and aesthetic solutions are brought together in a single collection that succeeds in harmonising objectives and materials. 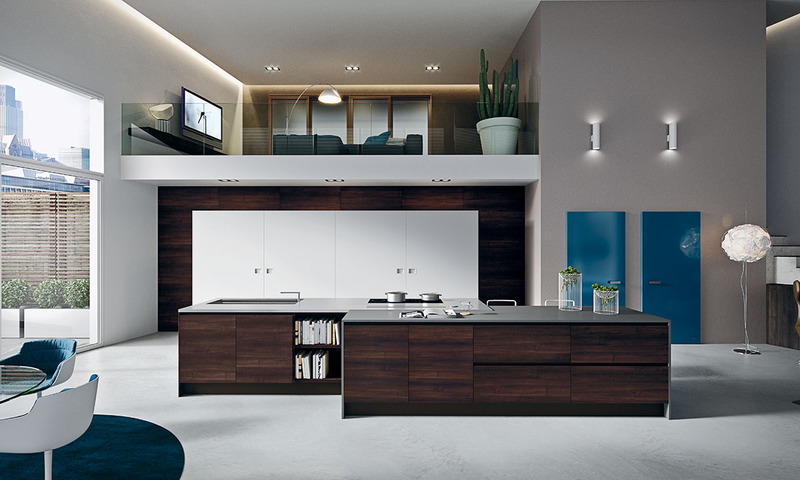 The wide range of finishes available and the various types of modularity allows that kitchen projects can be created based on the needs of the user. The same project can be adapted in all finishes without undergoing substantial variations. The multiple opening systems solutions are always aimed to satisfying all functional, ergonomic and aesthetic requirements. Arrital Ak Project system allows you to choose from numerous solutions to personalize the kitchen doors. The door edges, available with a 30° slope, combined with veneered or lacquered finishes, create essential lines with a high visual impact. Arrital Ak Project system features doors with different opening solutions. Among these, the 30° sloped edge combined with a flat groove: a solution with a high visual impact. The edge embellished by the addition of an aluminum profile allows a secure door grip, while simplifying daily cleaning operations. You must be <a href="https://lussocucine.nyc/wp-login.php?redirect_to=https%3A%2F%2Flussocucine.nyc%2Fnews%2Farrital-ak-project%2F">logged in</a> to post a comment.